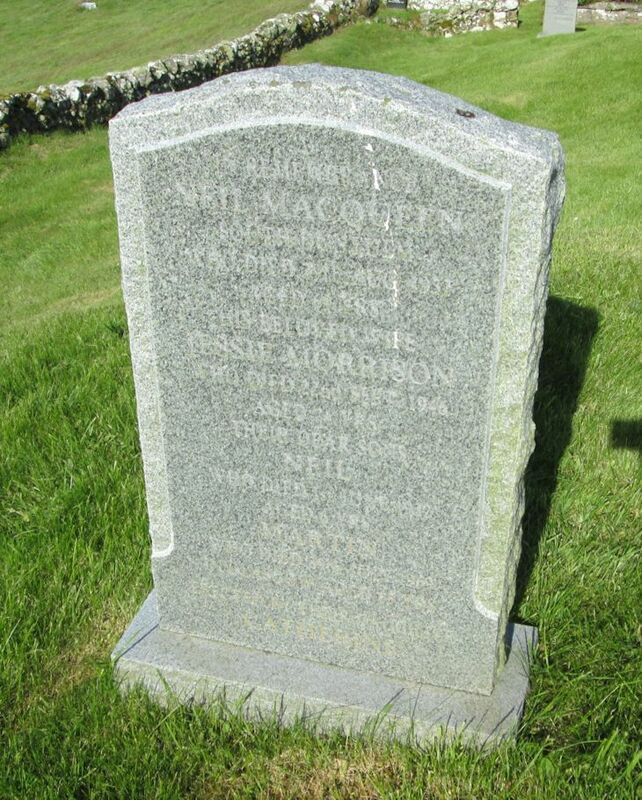 Skye Gravestones | Neil & Jessie (Morrison) Macqueen & sons. Neil & Jessie (Morrison) Macqueen & sons. In memory of/NEIL MACQUEEN/South Duntulm/who died 29th Aug. 1932/aged 64 years/his beloved wife/JESSIE MORRISON/who died 22nd Sept. 1946/aged 74 years/their dear sons/NEIL/who died 1st June 1922/aged 6 years/MARTIN/who died 29th July 1969 in Glasgow aged 65 years. Picture Added on 16 July 2014.